Springfield Hotel & Health Club, Pentre Halkyn, Flintshire hotels with instant confirmed online booking. We have Hotels throughout Flintshire , Wales . Accommodation near all the attractions, places to see and things to do.......You are able to make an instant secure confirmed online booking. We also offer information on Airports, and travel and tourist information. The 3-star Springfield Hotel & Health Club offers stylish accommodation, free WiFi, restaurant, bar, health and fitness club and wedding and conference facilities. There is ample free car parking. 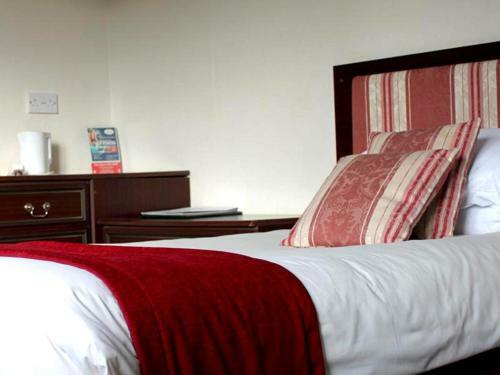 Ideally located at Junction 32A of the A55 in Pentre Halkyn, Holywell, North Wales, Springfield Hotel enjoys fabulous views over the River Dee and has excellent road links to the beautiful Roman city of Chester, North-West England and North Wales. 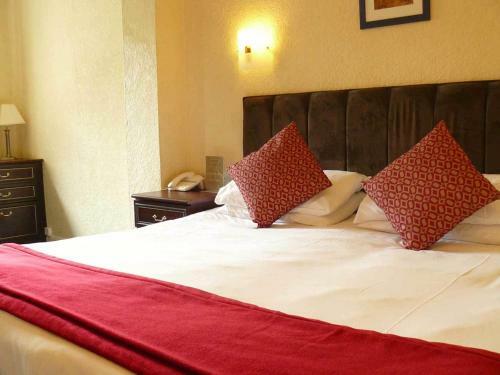 All the spacious guestrooms feature en suite bathrooms, Freeview TV and tea and coffee making facilities. 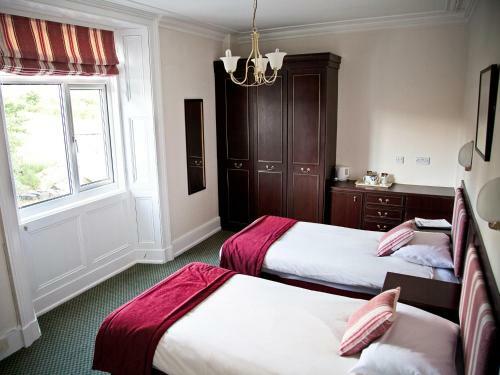 Many rooms have superb views over the Dee Estuary to the Wirral, and the Cumbrian Hills. Guests can enjoy complimentary access to the Health Club, with facilities including a gym with state-of-the-art equipment, indoor heated swimming pool and sauna. The beauty salon offers a full range of beauty and holistic treatments and spa packages. A hairdressers is also available within the hotel\'s beauty salon. The hotel boasts superb dining options. Breakfast, lunch and dinner are served daily in relaxed and comfortable surroundings. The Delfryn Restaurant offers an array of tempting dishes to suit all palates paired with a range of delicious wines to complement every meal. Children\'s menus are also available. The Springfield Bar serves a full range of drinks and delicious bar snacks and boasts wonderful views out to the Wirral and the River Dee estuary. Sky Sports is available in the bar. Holywell Golf Club is located 5 minutes\' drive. Local attractions include Chester Zoo, Grosvenor Museum, Chester Racecourse, golfing, cycling and walking trails. Please note full payment is required upon check-in for all bookings. When booking more than 5 rooms, different policies and additional supplements may apply. From time to time the swimming pool may be in use for private lessons. No pets are allowed in the hotel with the exception of Guide Dogs. All bedrooms are non-smoking. Breakfast is available between 7:00 and 9:30 daily. Lunch & dinner are served between 12:30 and 21:00 daily.